Are you looking into Netmark’s services? Are you new to Netmark? Maybe you have been a client for 3 or 4 years and would like to know how to maximize your Netmark marketing experience. Here are 5 ways to can enhance your experience with Netmark’s online marketing services. One of the first things Netmark sets out to accomplish is a site audit. This informs your production manager on what critical areas need to be addressed on your site and with the search engines. To speed up this process, Netmark needs to be able to log in to your CMS or access your site, Webmaster Tools, Analytics. It is also helpful to have other access such as FTP to back up the site and make changes to your sites accessibility if there are problems. This access will be important for the site audit, but it will be even more critical for the success of your campaign. Netmark needs this access in order to speed up the process of services that you are requesting whether it be SEO, CRO, or one of our other services. It is best for technicians to receive this information all at once in order to keep organized and establish a central location for all password accessibility. When a tech is working on a campaign and runs into login access issue, it derails production and progress. Here’s an example… Say a client doesn’t provide login access to their website. The site is custom built with no CMS platform and they don’t want the site access given out. When I am working on a campaign for this client, I want to make a backup of the site using FTP or similar and add a landing page or edit items on the site as needed. This is a major part of SEO and CRO, but without access I have to request that all the items on my list be done by the client’s IT guy. No only does the IT guy not have time, he probably doesn’t care about my request. This causes major problems and makes it very difficult to track changes. For example if I requested a landing page to be uploaded and it’s supporting pages, I don’t know when it happened or even what the URL is. Because of this I don’t know what to track or how that new landing page effected rankings and conversions. Using a CMS (Content Management System) can really speed up your marketing experience. Netmark’s technicians are familiar with many CMS platforms and deal with custom platforms all the time. A CMS allows the technician to quickly make the adjustments on the site, page, or product. This allows the technician more time to spend on other tasks for your campaign. If you are looking to build a new site and want to know what platform or CMS is user friendly, here are a few options. You will be safe with using the major and popular platforms such as Joomla, WordPress, Magento, or Big Commerce. Roughly 80% of my clients use one of these platforms. A majority of them use WordPress. If your site it built overseas, please stop! I have had many clients come to Netmark with sites built with someone outside of the US and they end up paying for a new site within a year or before their new site even gets finished. I have not had any sites built outside of North America that have been Search Engine friendly or even easily manageable. They all have had major problems. The site may save you money up front, but you will pay for another sooner than you may think. For sites that are custom built by a wiz kid or Harvard grad, have them build it with a CMS. Yes, you can get more customized sites from scratch, but the Harvard grad will more than likely give you something unmanageable once the site is complete. Joomla is highly customizable and has great support, have the Harvard grad give us that! If Netmark is providing social media services, it is critical to share access to your social media accounts. Depending on what accounts you have set up, you can either add your production manager as a manager to your social media account or share your username and password, (90-95% my clients share their username and password). If you are using a Google+ page, Facebook page, or Linkedin Company page you can simply add access to these accounts. However if it is a Facebook profile, Twitter, Pinterest, or Youtube Channel then you will need to provide the original username and passwords. Set up these accounts with an email that is a company email. It should be an email that can be handed to the next person and not a personal email. There could be more than one person doing your social media in house. If Netmark is providing social media services, I would highly advise that the company provides information on items that people want to hear about. I would recommend the company still makes posts on their own and engage as much as possible. You know your business best, and you know all the exciting news coming out so don’t be afraid to make posts for your company. Every company should have some friends. I am not speaking about social media friends. I am speaking about real people that you know in the industry that could complement your business or provide positive feedback. This section is covers two areas, linkbuilding and reviews. Linkbuilding: If you are partnered with other companies, get them to link to your site. Those individuals that you associate with who have small businesses or even large businesses, ask them if they will share a link to your site. If they have a blog, ask if you can write a guest blog post on how your product works with theirs and provide a link back to your site. This takes effort but it is well worth it. You will have these connections not Netmark, but we can help. Reviews: You have someone that has made a purchase from you, ask them to write a review. Getting reviews can also be hard, but it will benefit your company. People want to buy items that someone else has tested out and found worthy of the purchase. Having reviews on your product or services is a huge plus. 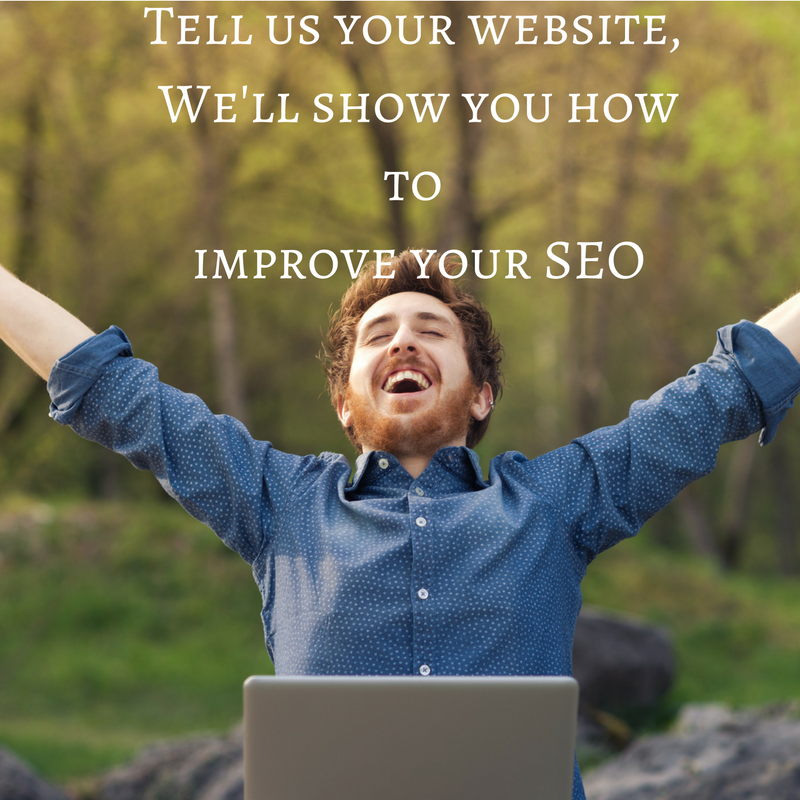 Your clients or customers can write reviews on your site, Google+, Yelp, Angieslist, etc. There are plenty of places for them to write a review about your company. I would recommend Google+ or Yelp. If your clients are not computer savvy, then write down what they say and ask for their permission to use their name and post the review for them. This may be the easiest for them, but takes more work on your part. Better yet, just hand it to your tech at Netmark and he will take care of it for you. Finally, content. To speed up your services with Netmark please provide content. Your online experience will go nowhere without content. A picture may be worth a thousand words, but you still need the words! You may ask, “why can’t Netmark provide content?” We can, but you know your business better than anyone else. You would be surprised at the content you can create, so put a little trust in your ability to talk about what you love. Just start writing. The quality of content is critical, but don’t be scared. Write content that matters. Write what people want to hear and engage with. As you write, you will be able to edit and critique the content to be engaging. Be creative. I am not great at writing, (just look at this blog post) but I write. You can too. Again, you don’t have to write the content, Netmark can provide this. However, if you are able to provide pictures, blog posts, articles, product descriptions, Press Releases, videos, or other content then please do so. This will reflect who you really are as a company and that is what people want to see. I wanted to throw in this bonus option more as something to get you thinking about it. The best marketing is word of mouth from someone you trust or admire. Social media is a great opportunity. Think of ways that you can get involved with your clients online through social media. Your technician can help with ideas, but you should think about possible promotions, giveaways, contests, or prizes that you can give out to create some engagement with your company. Again, Netmark can help with this, but consider possible incentives for your customers to share your business with their friends. By utilizing these suggestions, you will be able to enhance your Netmark experience. We understand the energy that goes into online marketing and that meaningful progress takes time. With or without the above suggestions, Netmark will dig right in to your online marketing needs and provide you with excellent service to bring you results. We look forward to working with you and our continued service with your online marketing needs. Rick is a marketing strategist at Netmark. He has been in marketing since 2009 with a background in construction marketing, food marketing, and event marketing. Rick Graduated with his BS in Business Management and minored in Marketing. His business skills allow him to be both analytical and creative in both business and marketing. Rick enjoys keeping up on marketing best practices by visited with professionals at Google, Nike, Hallmark, Leo Burnett and other fortune 500 companies. Rick has an entrepreneur heart who enjoys serving and working with others.